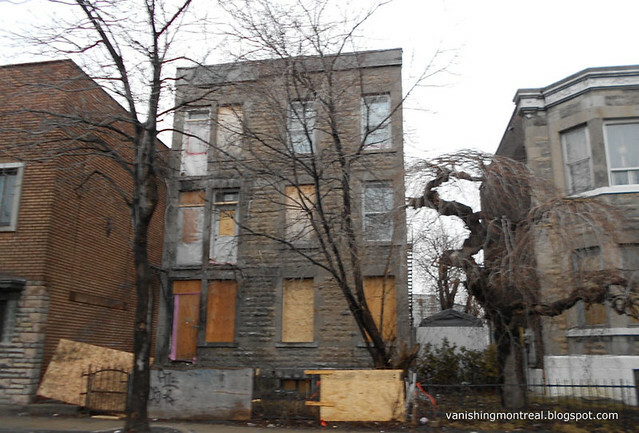 This triplex on De L'Eglise in Côte-Saint-Paul was boarded up for most of the winter. The staircases and porches were removed. I walked by there recently and they were working on renovating the place. I'll post updates once it's completed.